The holidays are coming sooner than you think. This means it is time to start thinking about gift ideas for family, friends, and loved ones. Christmas is an important holiday, so a lot of time is spent on selecting just the right gift. 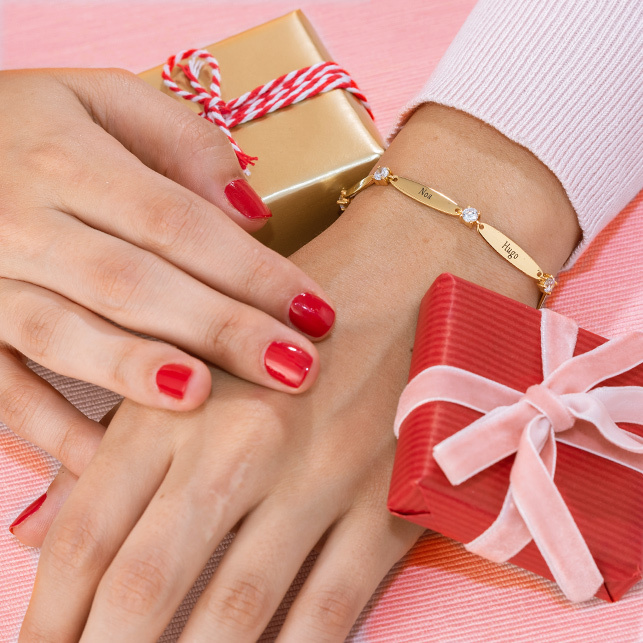 You want it to be perfect, something the recipient is sure to like and treasure. We all spend hours walking around shopping centres and surfing the internet to find the perfect Christmas gift. With so many gift options to choose from, it can be quite daunting to find just the right gift the recipient is sure to love. 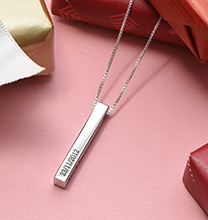 Personalised jewellery is always a great option for gifts as it takes a basic necklace, bracelet, or any other piece and it elevates it to a whole new level. 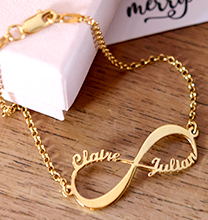 Plus, personalised accessories are great gifts for women and men! It is the perfect way to fully express one’s feelings and also bring a smile to the face of the person on the receiving end. There is nothing more rewarding than knowing the gift you selected is personalised and custom made, especially for them. And the recipient is sure to love it because there is no one else with the exact same item as them. 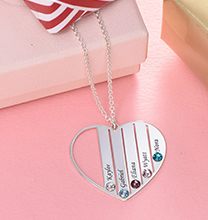 When thinking about gift giving for this upcoming holiday season, choose the gift of a monogram necklace, bracelet or any of the other beautiful monogram gifts for Chrtistmas available at MyNameNecklace! If you are having a difficult time selecting the right gift, a monogram accessory is the perfect option. It goes with everything, from quintessential little black dresses and business attire, to casual outfits while running errands. A monogram necklace in silver or gold will pair nicely with a t-shirt or button down. For the modern man, there are monogrammed cufflinks and collar stays. With so many different designs to choose from, it can be hard to decide just which one you want to give as a personalised Christmas gift. The options are endless – and there are so many beautiful styles to choose from. How about a trendy monogram leather bracelet for your daughter, or a monogram bracelet for your favourite aunt? Monogram rings, necklaces, and earrings are also certain to please, thanks to a combination of top style and personalised appeal. In gorgeous sterling silver, rose gold, and 18k gold plate, monograms are the perfect go-with-everything accessory – and their classic appeal means they stand the test of time. Take your time going over all the different options and find that perfect monogram for the person receiving the gift. And you don't even need to do initials if you don't want to, you can do your favourite three letter word or three letter abbreviation! Monograms make excellent Christmas jewellery gifts. It is a beautiful sentiment that shows you really care about a person. 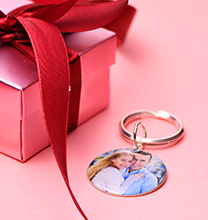 It also shows that you want to get them a personalised keepsake that will always remain special. So, what are you waiting for? Buy monograms online for everyone on your Christmas list! 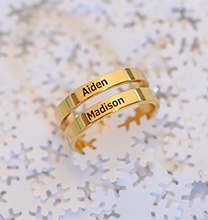 Click for Monogram Jewellery Gifts!